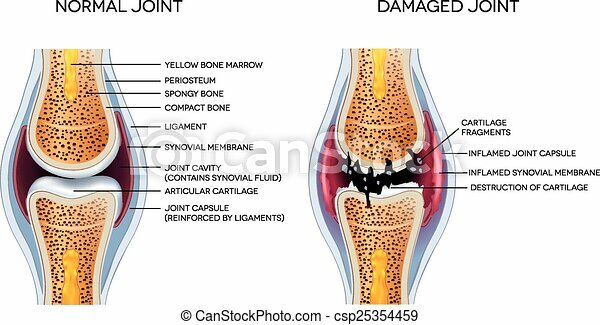 Damaged joint and healthy joint detailed diagram. 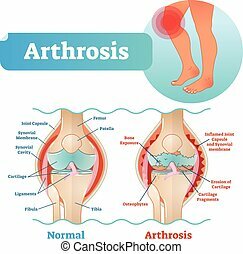 Arthrosis medical vector illustration diagram with damaged knee structure and healthy knee comparison. 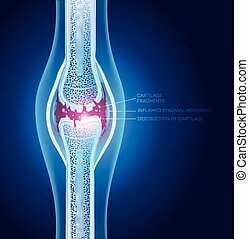 Bone exposure, osteophytes, cartilage fragments, erosion of cartilage and inflamed joint capsule. 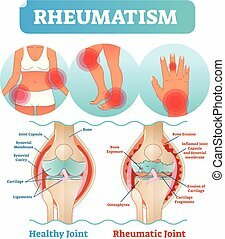 Rheumatism medical health care vector illustration poster diagram with damaged knee erosion and painful body joints. Healthy knee joint comparison to rheumatic one. 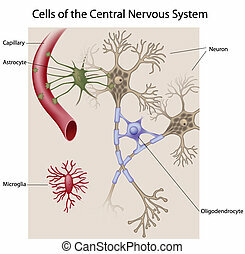 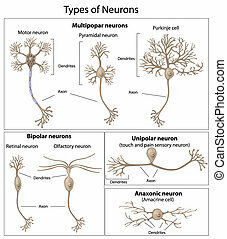 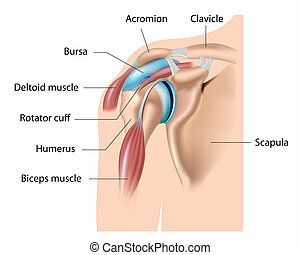 Anatomical scheme. 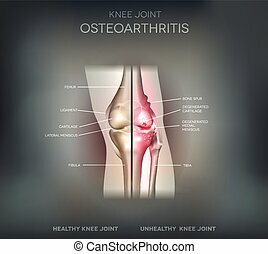 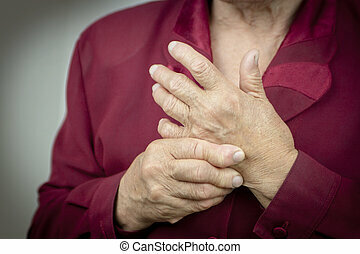 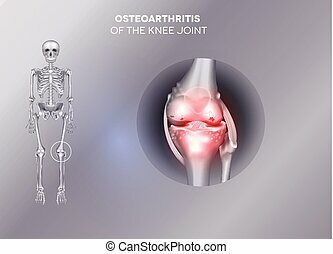 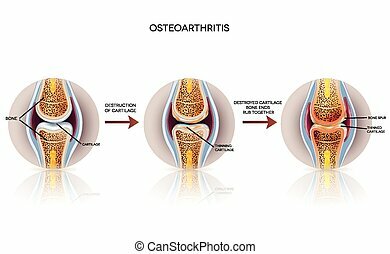 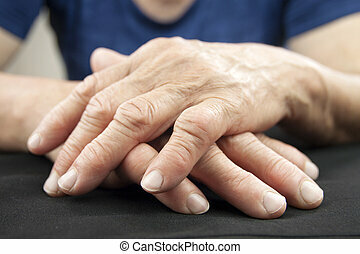 Osteoarthritis detailed illustration. 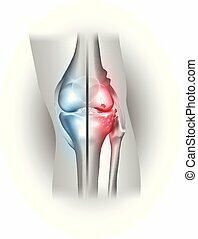 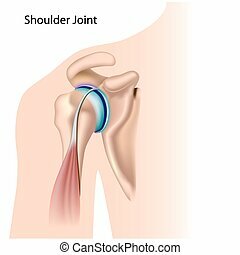 From healthy joint to damaged joint, cartilage destruction. 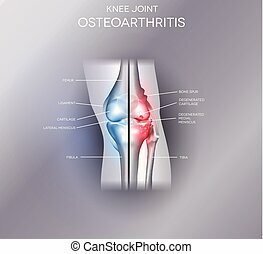 Damaged and healthy joint design. 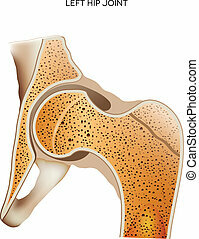 Part of the joint normal and other part damaged on an abstract grey background. 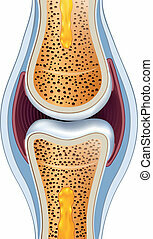 Normal synovial joint anatomy. 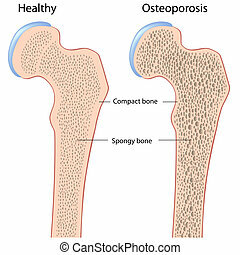 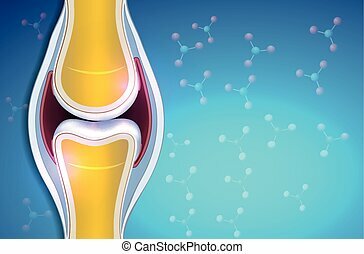 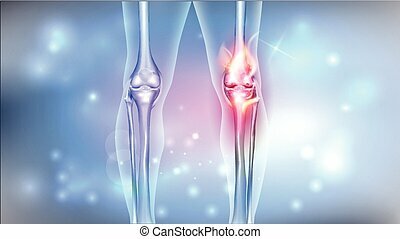 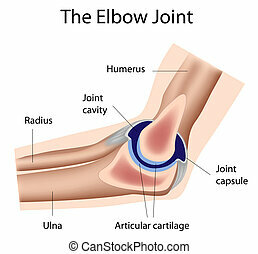 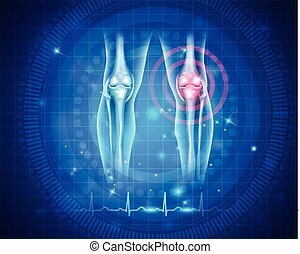 Healthy joint detailed illustration. 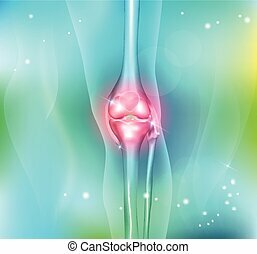 Damaged joint on a grey background. 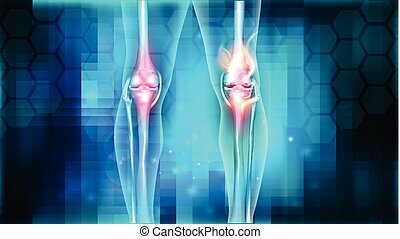 Damaged painful joint bright design on an abstract glowing background. 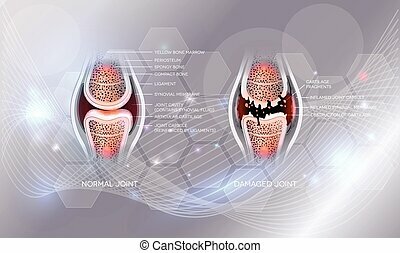 Damaged joint illustration, abstract x ray design.